Kansas City's Most Trusted Fertility Clinic. Infertility is common. Learn how RRC can help you. The Best Success Rates in Kansas City. 10,000 Births. Best Results in Kansas City. 30 Years of Experience. 10,000+ Births. Best Results in Kansas City. For over 30 years, RRC has been the premiere fertility and IVF clinic serving Greater Kansas City. We offer a complete portfolio of services designed to diagnose and treat infertility including in vitro fertilization, preimplantation genetic screening, IUI, donor egg, donor sperm and egg freezing. As a highly-trained infertility clinic, the doctors and staff at RRC offer an unprecedented experience base to treat infertility issues. The care provided by our nurses, coordinators, and staff truly sets us apart. In addition to our depth of experience, RRC has the highest success rates in all of Kansas City, and is the 22nd ranked IVF clinic in the entire United States. RRC is the highest rated IVF clinic in a 6-state region (Kansas, Missouri, Colorado, Oklahoma, Arkansas, and Illinois) in terms of live birth per fresh embryo transfer for women under 35. Fresh embryos are cycles with no freezing, no thawing, and no PGT (Preimplantation Genetic Testing). Utilizing the best possible treatment and technology, RRC has helped with over 10,000 births to date and through IVF treatment alone – over 4,400 births. If you wish to start a family or grow your existing family, schedule an appointment today. 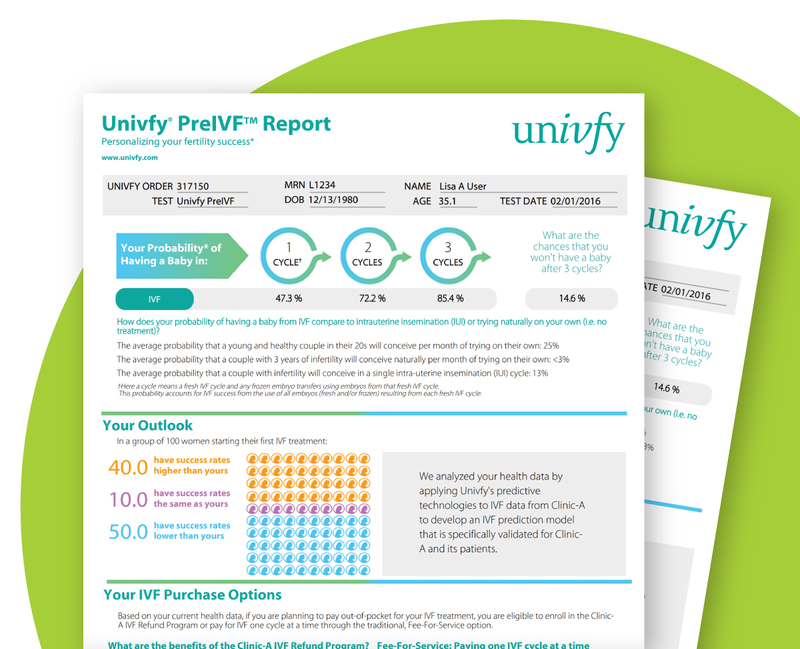 We’re proud to offer Univfy PreIVF™ Reports to show our patients their personalized chances of IVF success based on their own health data, not national estimates. This exciting new data technology lets us qualify many more patients for our IVF refund program.